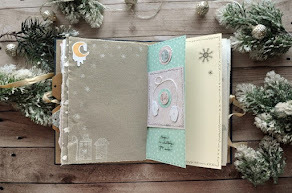 Hi, everyone. 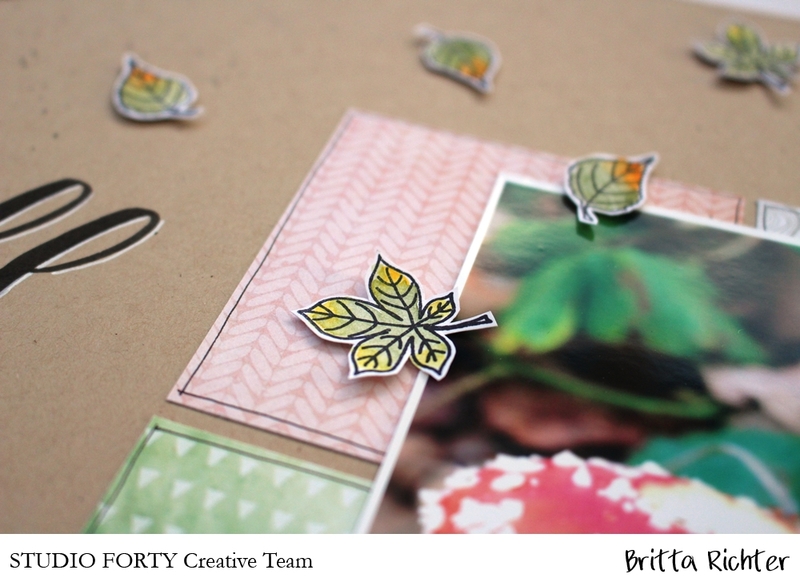 It´s me, Britta. 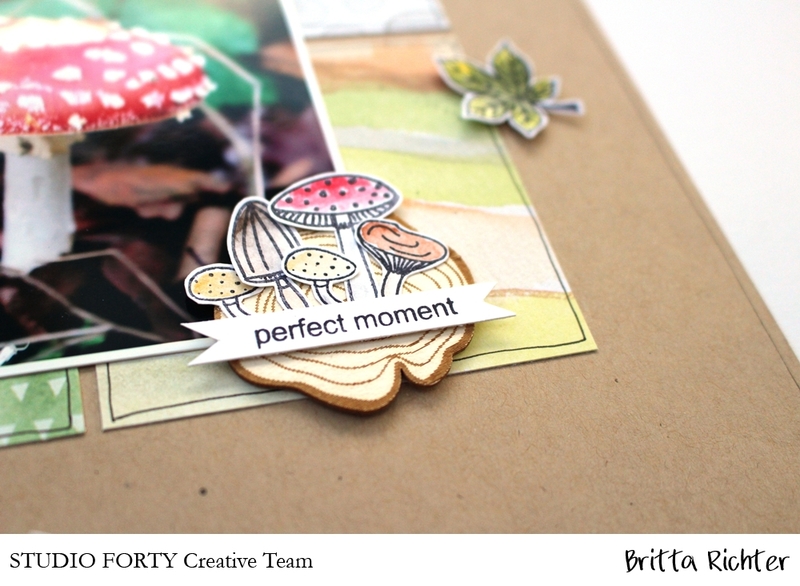 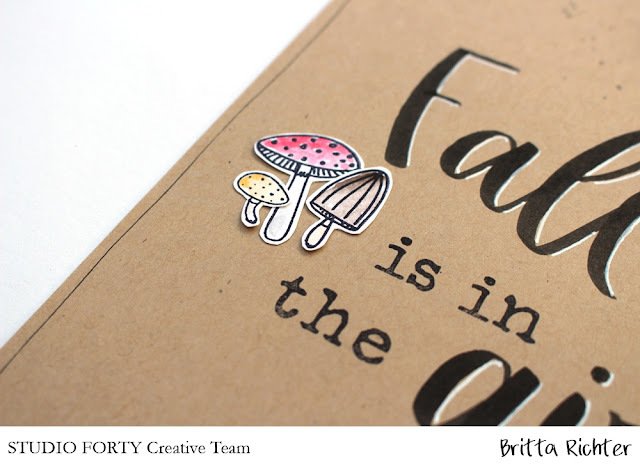 Today I share with you a layout with the wonderful `Magic Fall´ Collection. 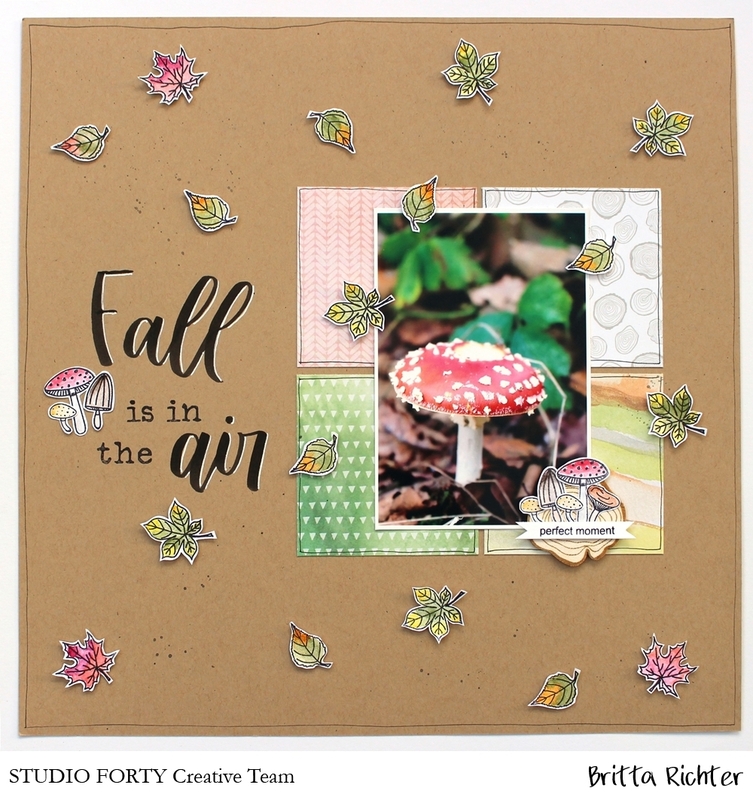 For this layout I stamped a lot of leaves and mushrooms from the new stamp sets and coloured them in fall colours with watercolours. This is followed by some fussy cutting. For the background I used some craft cardstock and combined the titel with stamps and some brush lettering. 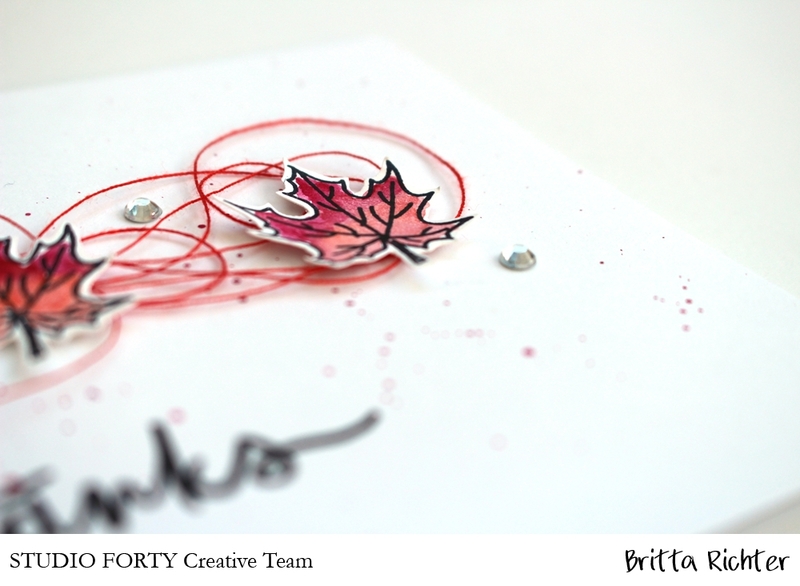 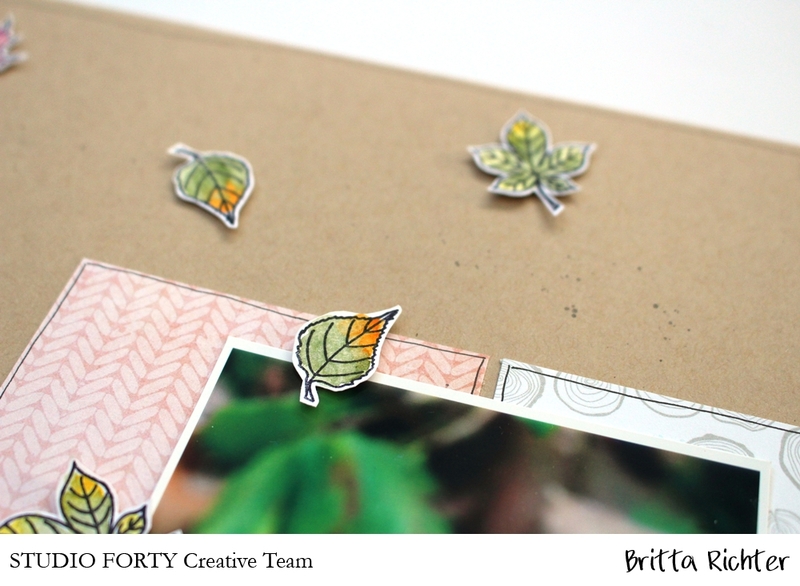 With the leaves stamp set I also made a card. It is simple and clean. 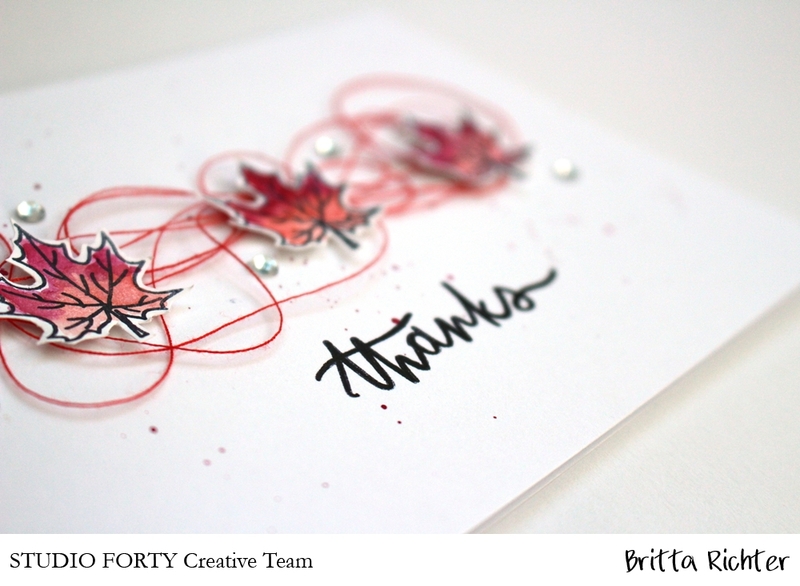 Watercoloured leaves, sparkles, yarn and a little bit of bling.